Perfect for my sensitive skin. Always comes out looking and smelling perfect. Always the perfect amount of laundry detergent in that little pod. And never a mess. 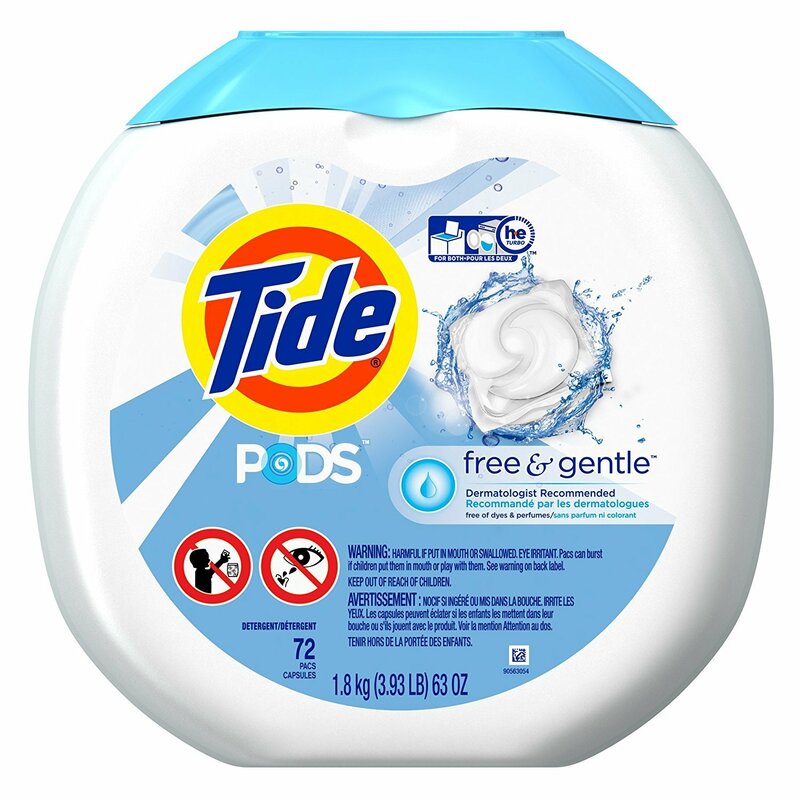 Tide is my go-to brand for pods and all things laundry deteragent! It not only smells great and fresh, but gets the job done!! I started purchasing this particular type a couple months back to wash my..ahem, delicates in (no perfume, irritants, etc). And I love it. I continue to buy the regular pods for all my other clothing as well. I am a devoted tide powder user and have allergies to many products. Glad they have another product I can use without adverse reactions. Love this product. With summer around the corner this product is so handy for moms of little kids. Mud, grass and food stains. Also great for people with sensitive skin, does not flair up my excema sensitive skin. I would buy this product again. So convenient. This product is great. Very cost effective and also the portion control is the best. You either use 1 pod for a regular load or 2 for a heavy load. Instead of just pouring the liquid or powder and hope you don’t waste it. We’ve been using tide pods, free and clear for some time and have never had an issue. I’ve used other pod type laundry detergent before and it leaves a residue, but that’s not a problem for Tide. Love love love! I have tried cheaper brands but they do not stack up to Tide. I work in a scent free building hence this product is ideal. My son has sensitivities to some additives but not to Tide. I bought these tide pods after purchasing a front loader washing machine because I dislike measuring out specific detergent liquid for the machine. These are so simple, you just toss one pod in (depending on how much laundry) and turn on the machine. I use the ocean scent as it is my favourite but overall I just find these pods very convenient and they clean my clothing extremely well. They contain a detergent, brightened and stain remover all in 1 small palm size pod. I love these!! My kids and i are all red heads and have super fair sensitive skin. Detergents seem to bother my youngests skin if its not sensitive stuff. This works great and weve never had an issue with it.